Take a stroll around our orchards and lakes or meander down through the woods to Penhallam Manor. 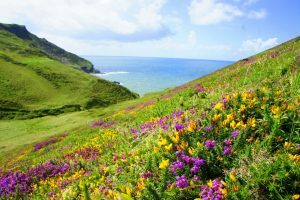 The South West Coast Path is only a few miles away, or spend a day on Bodmin Moor or Dartmoor. There is stunning scenery around every corner. 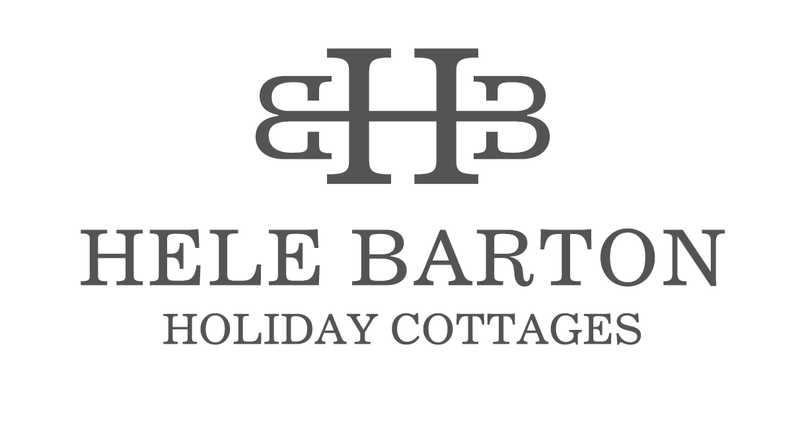 Hele Barton is just 4 miles from the long, sandy beach of Widemouth Bay- fantastic for surfing and body-boarding. 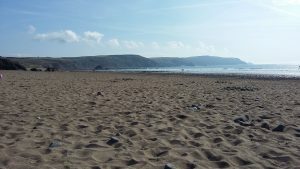 Crackington Haven, Crooklets, Summerleaze and Northcott are a short drive. North Cornwall is famous for its quaint fishing villages, steeped in myths and history. 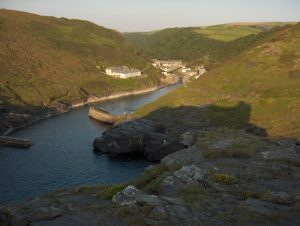 Take a stroll around Boscastle, relive the Legend of King Arthur at Tintagel or spot your favourite Doc Martin Locations at Port Isaac. Bude is full of bustling cafes and restaurants, plus there are several excellent pubs along the coast if you like a view with your pint. 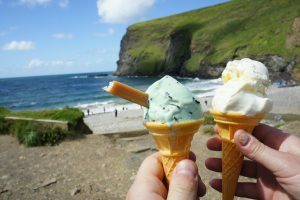 North Cornwall also has several excellent breweries and Gin distilleries. 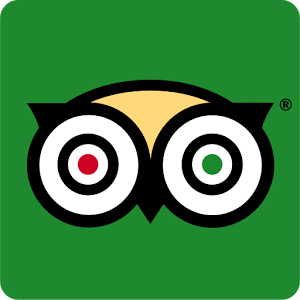 Most establishments are very dog friendly, so none of the family needs to be left out.